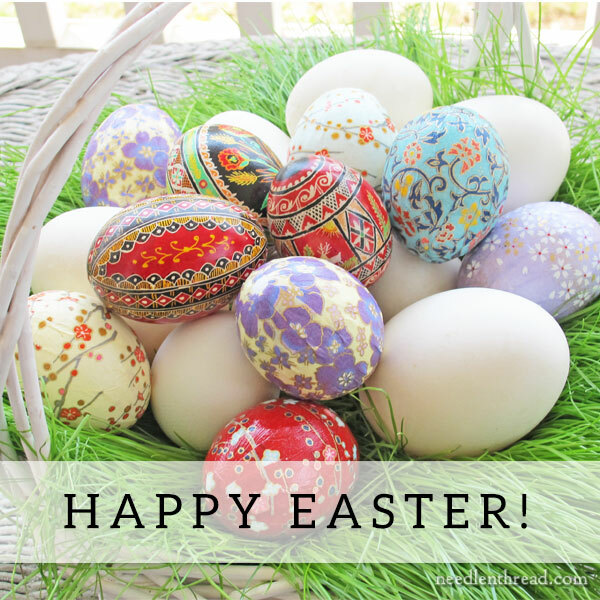 I just wanted to pop in to spread a little Easter cheer and wish you and yours a joyful day! I’ll also share some spring stitching ideas, for those who are moving into spring – which has been rather slow in developing this year, but it looks like it’s finally here to stay (in Kansas, anyway!). 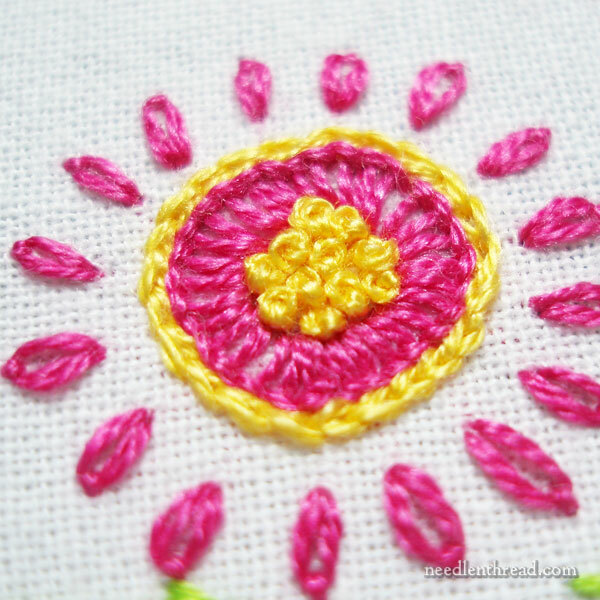 If you’re looking for something bright and springy to stitch this time of year, here are a few ideas! One of my favorite, easy approaches to colorful and cheery embroidery is chicken scratch, or gingham embroidery. Thanks to the wide variety of gingham check fabric available today in all kinds of trendy and bright colors, gingham embroidery is a perfect way to express spring cheer! If you’d like to try your hand at gingham embroidery, you’ll find instructions for chicken scratch, along with information on supplies, and lots of free patterns (including the one in the photo above) here. 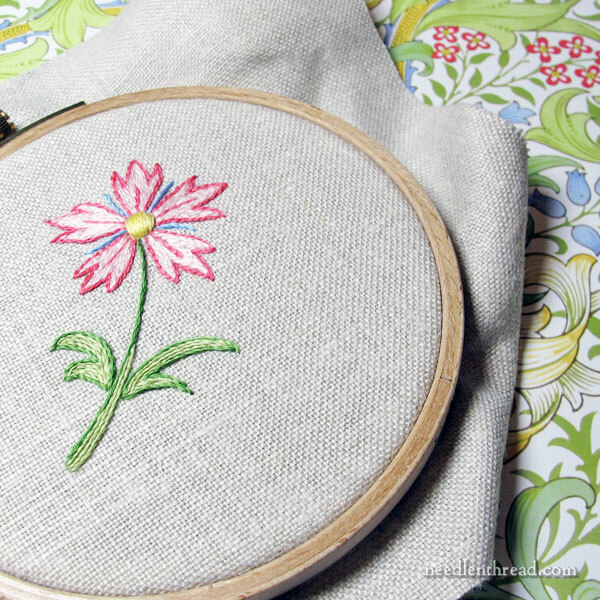 If you’re looking for more traditional surface embroidery patterns that feature flowers, you’ll find plenty of embroidery patterns with floral themes here. Have a browse! One of my favorite patterns is still this spring corner design, which offer plenty of options for colors and stitches and threads! I’m particularly fond of bright colors this time of year. Combinations like spring green, bright pink and bright yellow work great on this design. Enlarged, the design would look fresh and fabulous on the corners of a table cloth! 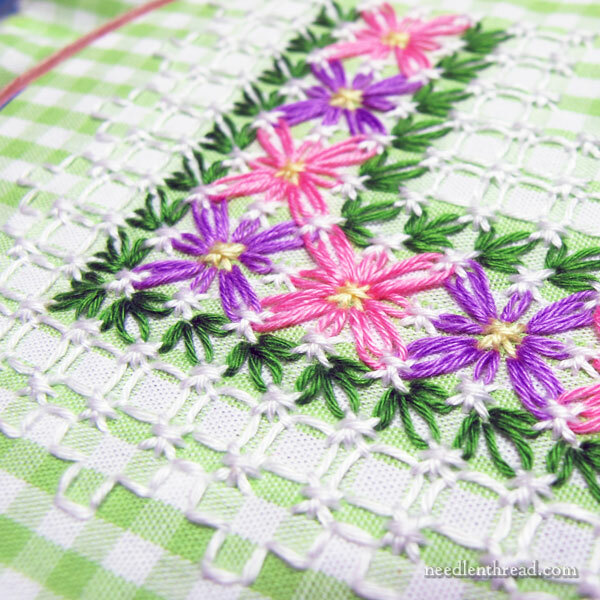 This heart of flowers pattern stitches up pretty nicely, too! 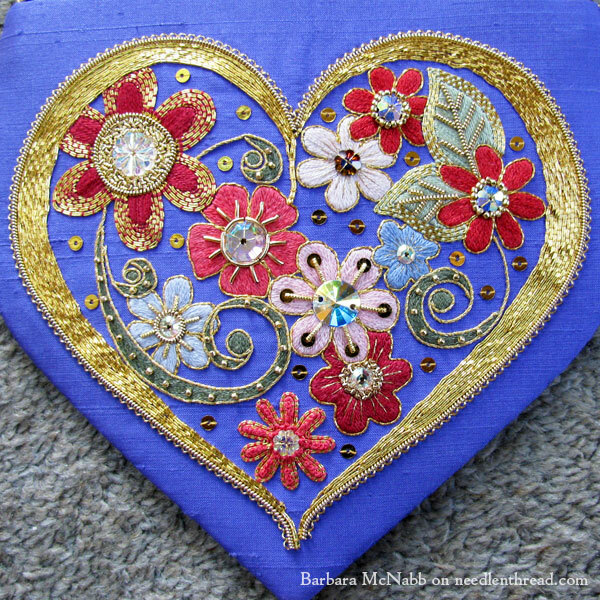 You can read about Barbara McNabb’s goldwork, embroidered, and beaded interpretation here. She turned it into a lovely little sweet bag. You’ll find a similar pattern in an egg shape here, if you want to go all-out Easter! Maybe you just want to go with a sweet and simple flower? You could stitch up this one or this one! Or how about some lilies of the valley? Ahhhh – so many options, so little time! This week, I’ll be taking a half-break from Needle ‘n Thread. I’ve got a couple articles that will auto-publish later in the week, but I won’t be around, lurking behind them. Today, I’ll be hanging out with my local family here in Kansas along with a few stragglers who have already made their way to the midwest in anticipation of our family reunion, which kicks off tomorrow night. A very happy, joyful Easter to you and yours! Thanks for sharing the spring links above and I hope you have a lovely Easter and I do hope you enjoy your time with your family reunion you deserve a break. Happy Easter to you and your family as well. Enjoy your reunion and mini break! Happy Easter to you as well Mary. Have a wonderful, family-filled week. Hope the weather is nice for you all to enjoy. Rainy here in Ark. for our Easter and pouring when I headed to church! Wishing you a very Happy Easter and enjoy your family reunion! I do love the gingham embroidery, it is such a fun technique. Enjoy your break and family time! I hope you had a lovely Easter and are enjoying being with all your family this week. Next Next post: 56-Count: More than I Thought!